You still haven’t figured out how Christmas would be? Don’t know what to do because you are like me and everything is just rushing and bursting your head? Or you are too stressed out to make any plan? Don’t worry, I have got you covered! Here are 7 things you should try this Christmas holiday! You can either do them or use them as a guide to make your own list. Remember Christmas doesn’t have to be boring! Check out the list below! 1. Sleep: I know that this year has been stressful for not only me but for everyone in general. If you stay in Lagos, you would have suffered from the mad traffic every day to work and back home. For some people, your relationship stressed you and for others school stressed you out. The good thing about this Christmas is that you get a break! So you can sleep all the sleep you missed out on this year! Don’t let anybody guilt trip you into depriving your sleep for anything in the world. Your sanity needs it! Your skin needs it! Your eye bags need a break! 2. See a movie: So I do not mean that you should sit on the couch with Maryland cookies in one hand and your laptop on your lap. I actually mean that you should get up, leave the house and go to the movies! There are a lot of new movies this season and some of us haven’t had the opportunity to go to the movies all year! Here is one, so don’t blow it! 3. 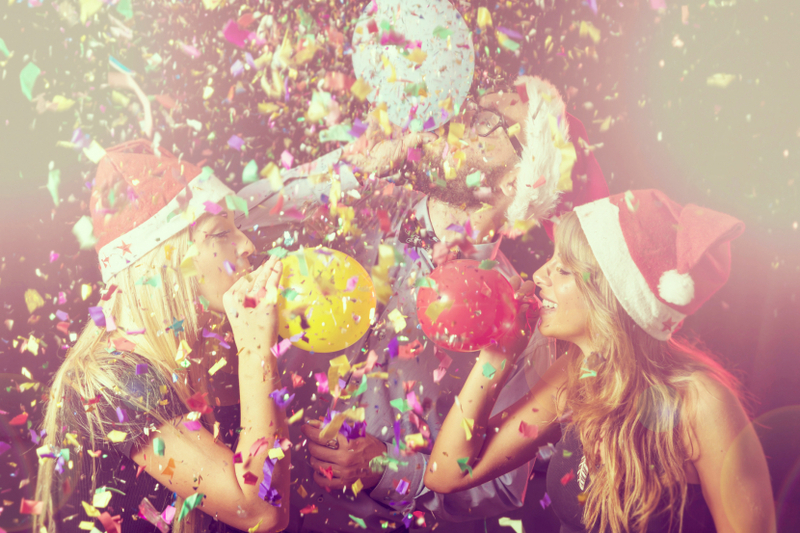 Attend a social gathering: Christmas is a time for parties of all kinds. From concerts to owambes to family reunion to whatsoever that gives you free food and an opportunity to network and hang with your squad. 4. Spend time with your family: This season is meant for your family. Work/school has somehow cheated them all through the year by stealing most of your time. Here is an avenue to catch up on things and make new memories. 5. Reflect on how your year went: I do not mean this in a bad way. But then you have to reflect if you met your goals and achieved them. Note what you did wrong and what you got right because in 2019, we are winning and making the right decisions! 6. Be your own Santa: I know that most of us that work spend the money we make on people. This Christmas, you are allowed to buy something for yourself. There is something that you really want and if you don’t have get yourself a shoe/bag/weave/wig/anything! Don’t sit there and keep waiting for Santa to appear! 7. Eat: This holiday, you are permitted to gain some weight. Eat and make merry!